NTP Inc. is a small company which hit the headlines first in 2006 when it won a law suit worth of $ 612 million against BlackBerry manufacturers RIM, filed over claims of infringement of wireless email patents. RIM was even rumoured to be shutting down because of the debacle but it paid the amount and saved the day for itself. RIM’s woes may be over but it seems now it’s pay back time for not one, not two but 6 technology giants of the world for the same crime committed by RIM. NTP had claimed 10 patents being stolen by RIM but only 3 were declared valid by the US patent office which was more than enough to build and ultimately win the case. 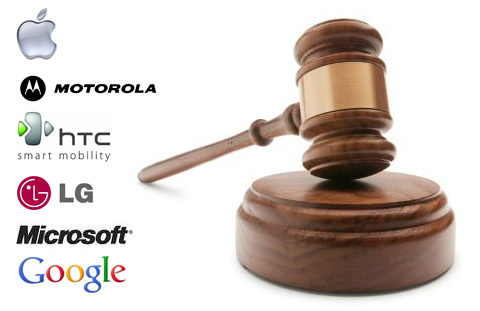 NTP is looking to do it again with the above companies and their biggest help will be the arguments and the judgement given in their case against RIM. The company obviously is miffed at the fact that these companies are infringing on its patents without giving any credit or compensation. Now we have to move forward. We hope we can resolve these cases without having to go to trial. The only company which licensed the technology from NTP is Nokia and that’s why it sits pretty and safe avoiding millions of dollars worth of fine. Quite a few lessons to be learned here by all the above.